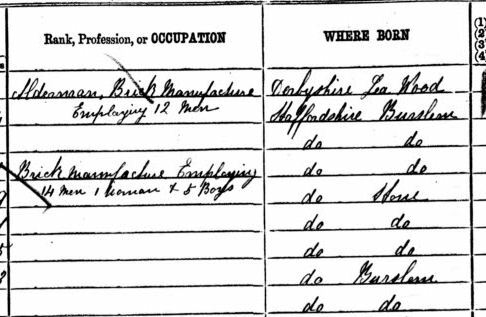 Believed to be George Wigley of Silvester Square, Burlsem - though to be brick making in the mid 1880's. The location of the brickworks is not clear from existing records. 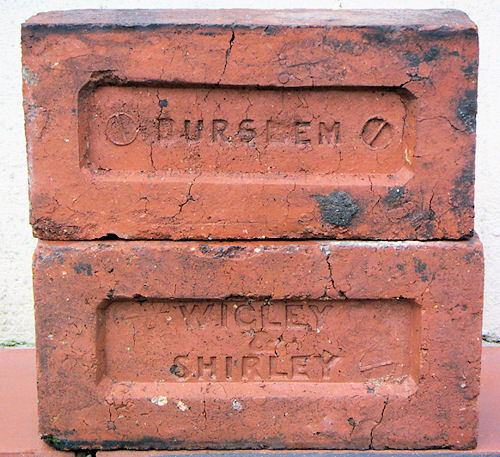 This brick was reclaimed during the demolition of 'East View' in the Middleport area of Burslem in 2009. East View is shown on the Ordnance Survey map of the early 1900's. 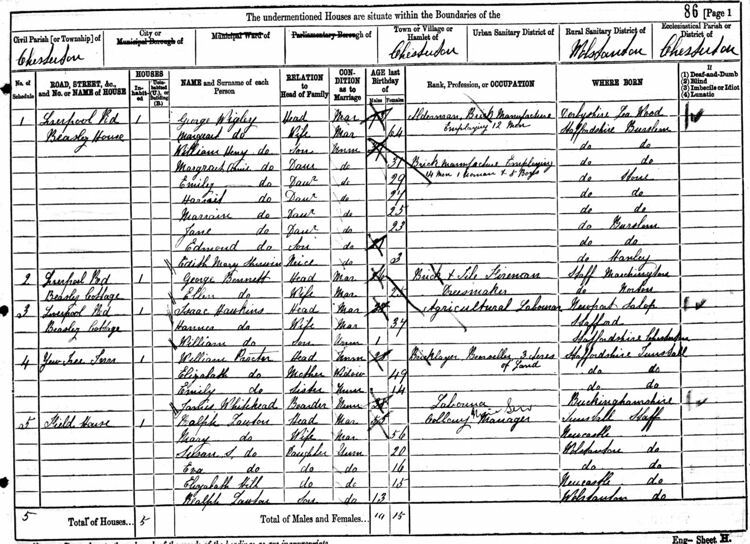 The census record shown below states that George Wigley was an Alderman and a Brick Manufacturer employing 12 men. 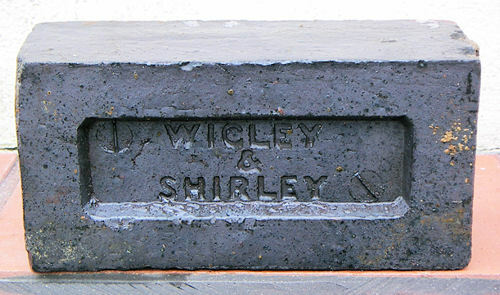 His daughter Margaret Annie Wigley is also recorded as a Brick Manufacturer emplying 14 men, 1 woman and 5 boys.